create a Jamf policy that users need to register their device with Azure AD. Check if system integrity protection is enabled on the device. check if complexity of the password is configured. check if encryption is enabled. 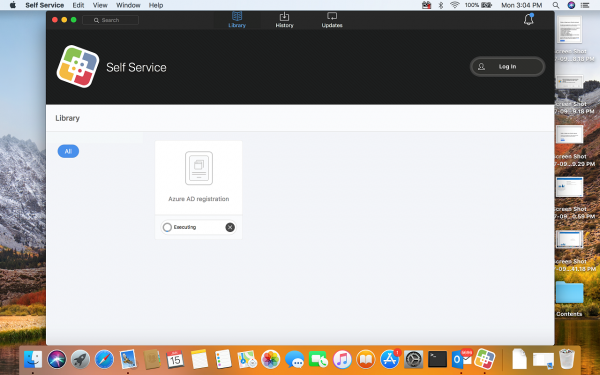 The Intune Company Portal is not available in the App Store of Apple, so we need to download it from Microsoft and create a policy to deploy it to the macOS devices. 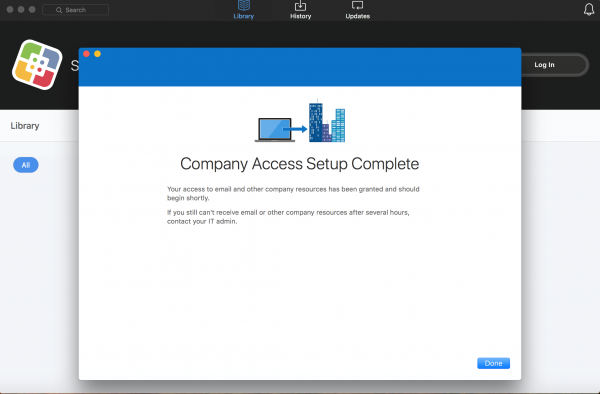 First download the latest version of the Intune Company Portal for macOS. In the Jamf Pro admin console, go to Management Settings, Computer Management and click Packages. 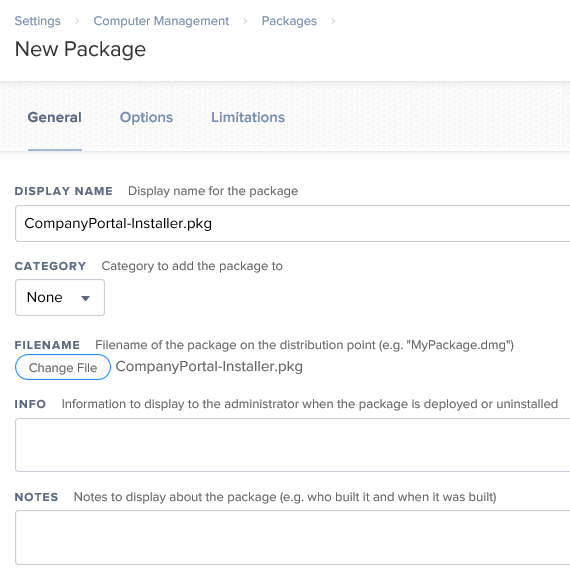 Click New, click Choose File and browse to the file called CompanyPortal-Installer.pkg. Click Save and wait until the file is uploaded. Enable the options Enrollment Complete and Recurring Check-in. Leave the action to Install and set the correct scope (eg All Computers and/or All Users). The last part of the configuration is creating a policy that forces the users to register their device with Azure AD. Still in the Jamf Pro admin console, go to Computers, Policies and click New. 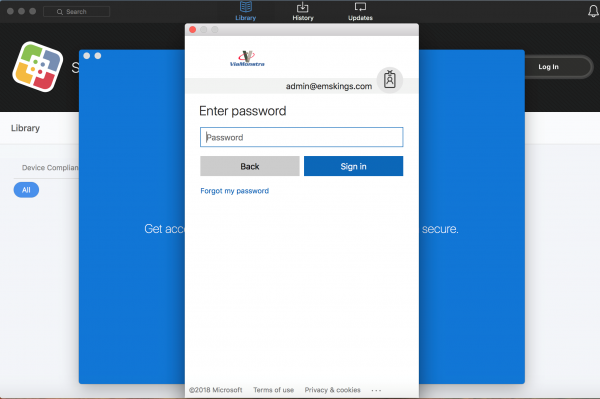 Supply a Name and click on the Microsoft Intune Integration payload. Enable the checkbox Register computers with Azure Active Directory and click Scope to scope the deployment of the policy. Click Self Service and enable Make the policy available in Self Service. In Microsoft Intune you will see the macOS device appearing and you will see that it is managed by Jamf. And in this case it is not compliant. 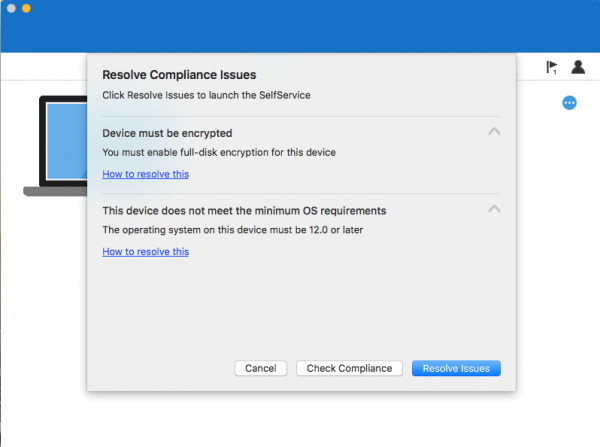 View more information about why the device is not compliant in the Microsoft Intune console. In the Jamf Pro console you see the device with the Azure AD information. After the device is remediated, it will be reported as compliant. The end user needs to go through some manual steps to register the Jamf managed device with Azure AD, so that the inventory can be shared with Microsoft Intune. In the Self Service app from Jamf the user needs to start the Azure AD registration application to start the registration in Azure AD. The Intune Company Portal is automatically installed. After starting the registration app, the Company Portal will automatically be started. 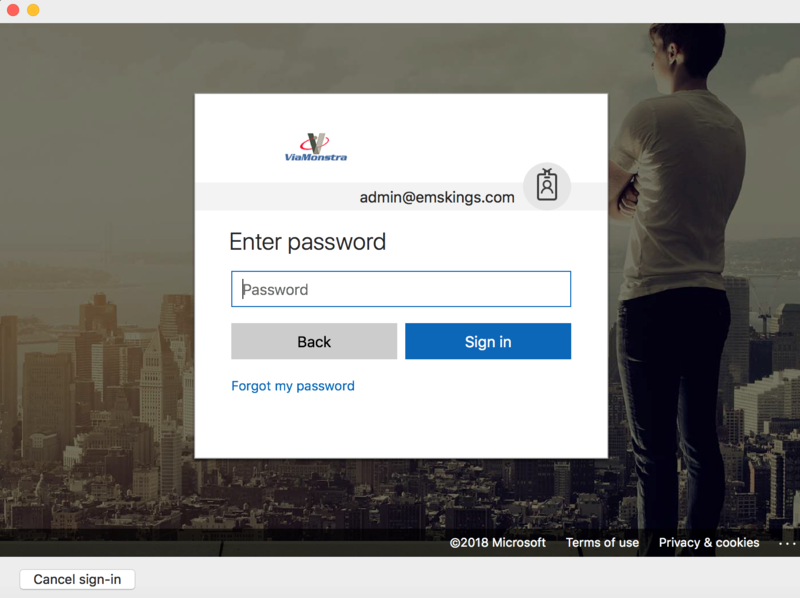 Login with the user account you want to use to register the device. Authenticate for the second time. After the registration is done you will receive the message that the company access setup is completed. If a device is not compliant as shown below you can fix it via the Company Portal. Fix the issues and check the compliance state of the device again via Check Compliance. After the fixing the issues the device is marked as compliant again. While testing the solution the following notes were taken. 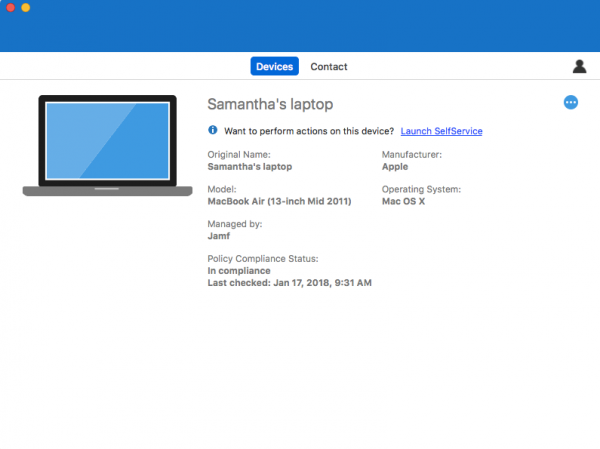 After enrolling the device in Jamf Pro, be sure that the inventory has ran before starting the registration via the Company Portal. Don’t start the company portal manually for the registration, the company portal must automatically be started via the AD registration policy. Running the Test in Jamf Pro to test the connection is a good way to initiate a sync between the two cloud services. 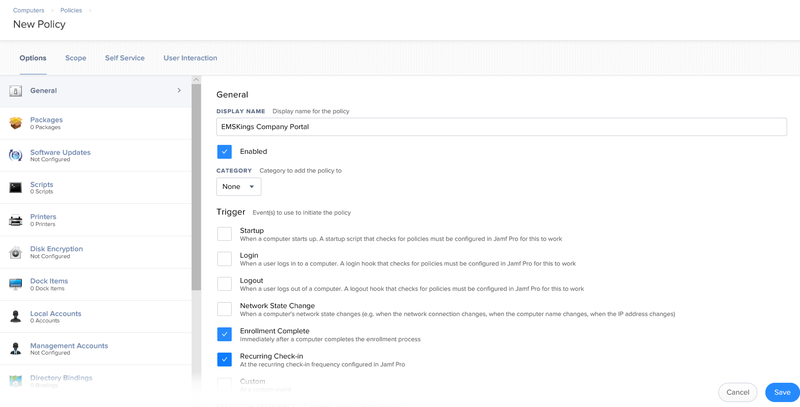 Looking at this integration I think it is a great addition when you already manage your devices with Jamf Pro and you want to control access to Office 365 and/or Azure services via Conditional Access.